The biggest problem I had with the the Samsung S23A950D is the HUGE limiting factor in that the only connectors on it are HDMI whereas the Asus VG278H or VG278HE have dual link DVI. This means you will be cutting your framerate in half if you want use 3D Vision so I had to resort to “Side By Side” splitting instead. They really need to simply add lightboost into regular 2D monitors rather than you having to re-purpose a feature meant for 3D. I had to eventually replace that monitor though with an Asus VG278HE since it was defective (blue stuck pixel in the center even despite it being very new and the warranty replacement I got had several blue and red vertical lines all over the place (so obviously a very defective LCD panel). There is obviously a really bad batch of these on the market that somehow got passed quality control. Are you sure it was S23A950D, this one should have DVI, the TA series come only with HDMI? 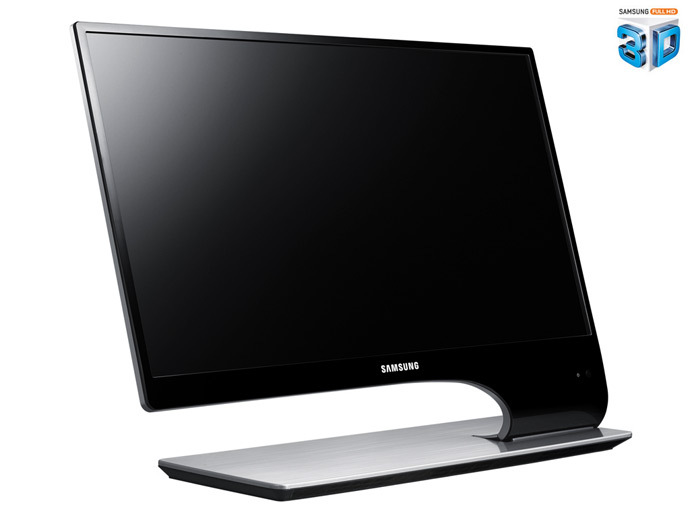 The S27A950D have Dual-DVI, Displayport and HDMI… Both Displayport and Dual-DVI work in frame sequential mode. Thanx for the information BLoody, i’ll try this trick when i’ll be back home tonight. I found out later that I had mixed it up with the T27A950 which looks VERY similar to the S23A950D. Sorry about that. Nevertheless, 3D Vision through HDMI is absolutely miserable. Dual link DVI is the way to go.